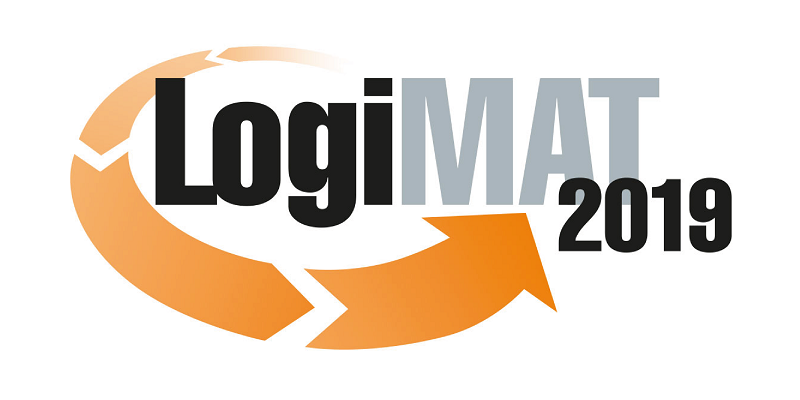 We make your logistics processes more efficient, faster and more transparent. With smart SAP-based solutions for logistics, JIT and JIS processes, customs and foreign trade processing, and business analytics. 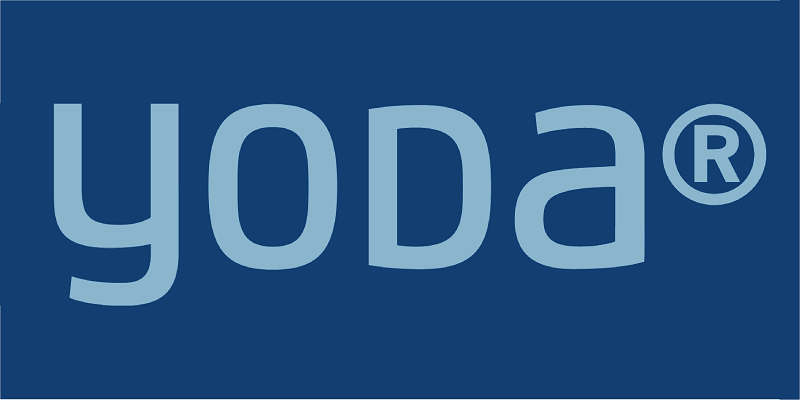 What makes our products unique is their sophistication: Modular and highly configurable – we adapt them flexibly to your company. Our work is characterized by our high development and consulting competence as well as absolute reliability. More than 300 customers worldwide rely on WSW Software, our 24/7 support, our more than 30 years of experience, and our commitment to making their daily work more manageable. 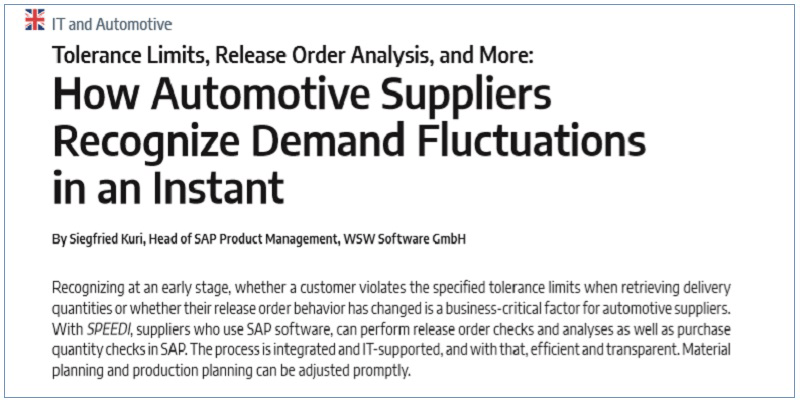 How Automotive Suppliers Recognize Demand Fluctuations in an Instant. 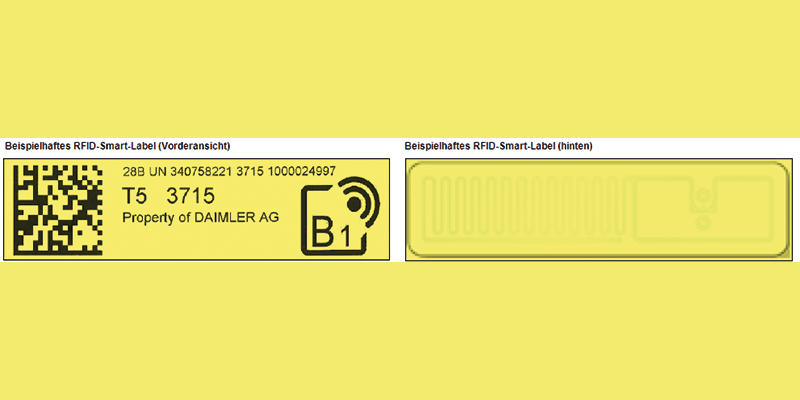 Daimler RFID processes integrated into SAP – with SPEEDI and mappings from WSW Software. Great career opportunities, well-known customers, vast expertise, palpable passion, a fantastic team, and versatile development opportunities? All of these are important for a good job, and of course, you will find them with us. Would you like to meet us in person? We are regularly at trade fairs, customer events, and staff fairs and look forward to your visit. Industries, tools, applications: Find out, how you can use our solutions. Consulting, development, and support from one source: Find out, what we can do for you. IT, Organization, Sales: Learn about career opportunities in our company.